Brittney Griner and Skylar Diggins, the two biggest names in Women’s College Basketball will meet for the National Championship. 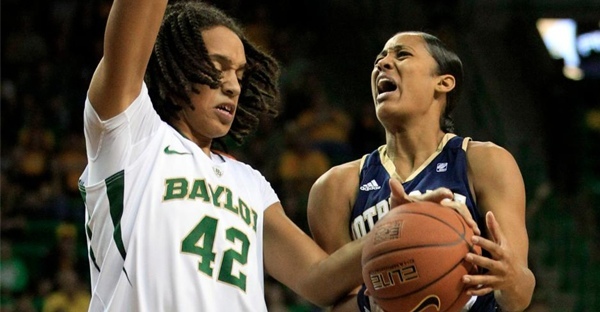 National Player of the Year, Brittney Griner led her undefeated Baylor Bears to a 59-47 victory over Stanford Sunday night. Baylor will attempt to become the first women’s college basketball team to finish with a perfect 40-0 record on Tuesday night. First team All-American Skylar Diggins has Notre Dame back in the National Championship after they knocked off the mighty UCONN 83-75 in overtime. Notre Dame lost to Texas A&M in last years National Championship.